Building access to northern Vancouver Island’s greatest resources since 1981. North Island Rockpro is a general contractor based in Port Hardy, British Columbia. We build forestry roads and civil engineering projects, from ground breaking through to completion. Our skilled crews use tough and proven equipment to build solid ground, graded to specification. 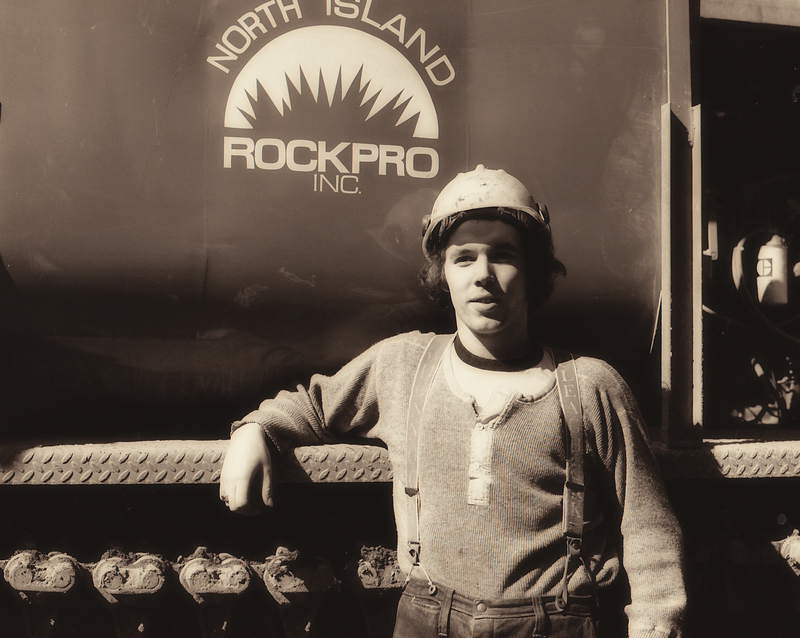 North Island Rockpro Inc began in 1981 when Bill Milligan, born and raised in Port Hardy, was awarded his first contract: to provide Drilling and Blasting services to Western Forest Products, Port McNeill Operation, a contract that Rockpro held for 25 years. The first equipment he purchased was a 1981 Finning Tank Drill, still a workhorse today. 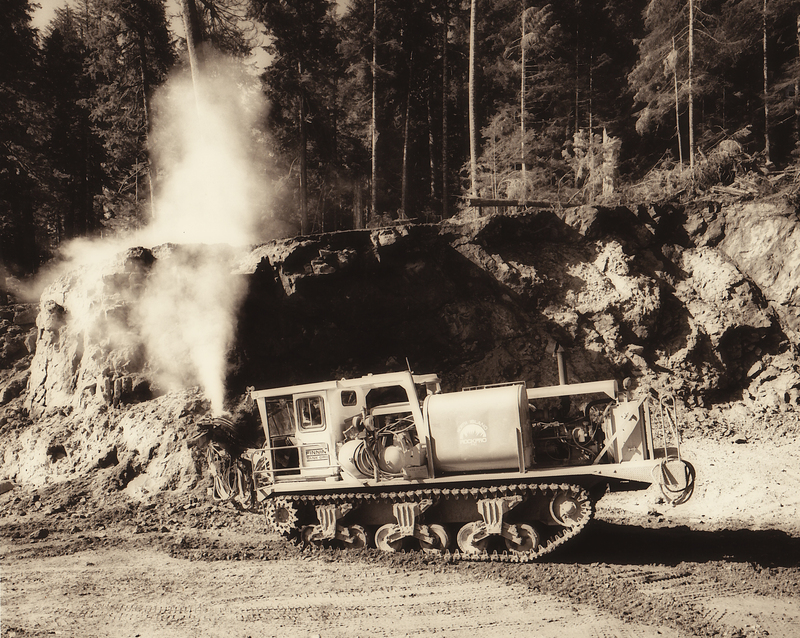 Drilling and blasting are fundamental to forestry road construction on northern Vancouver Island. Our industry expertise and cost saving efficiency helped expand our business as many forestry and logging companies require our services to access area timbersales. We have completed road building projects that span the north island and have included areas of Haida Gwaii. For more information about some of our recent projects, please click here. In 1995 we further expanded our services to include General Contracting, handling all aspects of construction for forestry and civil engineering projects. We install infrastructure and upgrades such as sewer, water, drain pipe, culverts and bridges. With our 35 acre quarry, construction projects are managed productively and delivered on schedule with quality controlled products. Our aggregate is screened to a variety of sizes, please click here to see a list of our products. As a family owned and operated company, safety has always been an important part of training and equipment operation. We have an excellent safety record and are SAFE Certified with the BC Forest Safety Council. 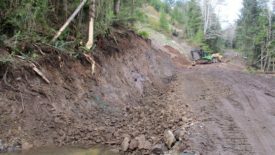 As a General Contractor for forestry road construction and civil engineering project,s we strive to use environmentally sound methods and proven best practices. North Island Rockpro completed Hydro-technical upgrades to the Department of National Defense Holberg radar base access road. RockPro has worked with Probyn Log Ltd. over the last 5 years building roads and installing bridges and culverts. They have produced quality roads in a timely fashion and most importantly on budget. We will continue using RockPro for our road building requirements on the North Island. Terry Basso, RPF | Probyn Log Ltd.
© 2019 North Island Rockpro Inc.